If we’re talking about the history of the cymbals, we have to go back in time quite a lot. The reason for that is that percussion instruments are probably the first instruments ever. Hitting two things together can produce a lot of different sounds even without having a complicated construction. Inventing a percussion instrument made out of metal happened pretty early in human history. Instrument resembling cymbals can be found across all cultures during the ancient times. Different types of cymbals may be found in reliefs and paintings from Armenian Highlands, Larsa, Babylon, Assyria, ancient Egypt, ancient Greece and ancient Rome. In India, cymbals have been in use since the very ancient times and are still used across almost all major temples and Buddhist sites. Gigantic Aartis along Ganges, which are revered by Hindus all over the world, are incomplete without large cymbals. That means that cymbals are at least over 2500 years old. But moving forward, starting with the 19th century, composers have given bigger roles to cymbal players in musical works. As a response, a variety of cymbal shapes, techniques, and hardware have been developed since. “The Big Four” major cymbal manufacturers today are Meinl Percussion, Paiste, Sabian and Zildjian. 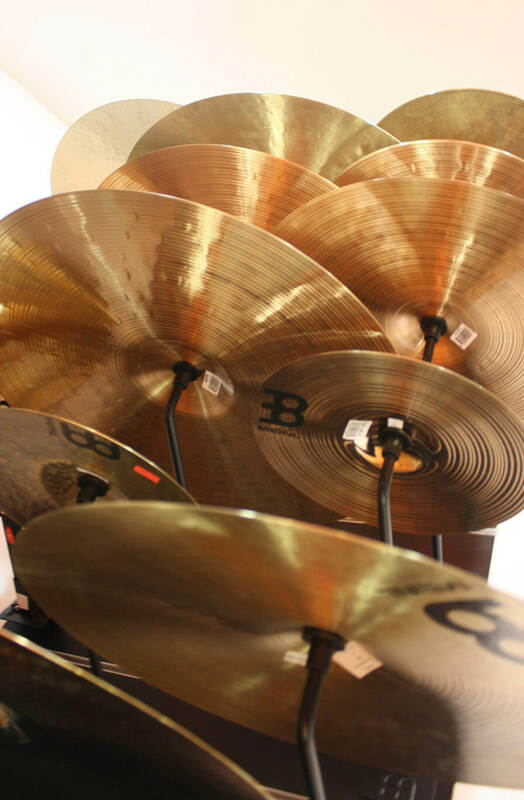 Cymbal manufacturing is a difficult field to succeed in as most companies that are still around today have hundreds of years of smithing and crafting experience in their past. For more information on cymbals, make sure to check out our top 8 ride cymbals article, as well as our detailed review of the best cymbal packs for the year 2018.